Dr. Arthur Catino and his group recently reported a general method to prepare tetraphenylmethanes that are used in OLEDs, organic solar cells, and hydrogen storage devices. He is pictured alongside St. John Whittaker '20, an undergraduate student in his group and co-author on their recent study. If you have a Samsung Galaxy or iPhone X then you are probably already familiar with OLEDs. OLED, short for organic light emitting diode, is a display technology that is revolutionizing the industry from cell phones to televisions. At the heart of these displays are carbon-based molecules that emit light in response to an electrical current. One such organic molecule that is used in OLEDs is tetraphenylmethane, or TPM for short. TPM contains four phenyl groups bonded to a single carbon atom. Each phenyl group consists of six carbons in a ring with alternating single and double bonds. Carbon can have a maximum of four bonds. Attaching small atoms or groups to a single carbon atom is relatively simple. Large groups, on the other hand, begin to crowd into each other and even block subsequent groups from bonding to the carbon atom. So it is with TPM, especially when the phenyl groups contain bonds to other atoms or groups. Dr. Catino admits that he was initially wary of the project. It was a graduate student in his laboratory, Paul Griffin'16, G'18,who convinced him that it was feasible and who performed some of the very first reactions. Griffin is the first author on their publication and is currently pursuing a Ph.D. in chemistry at the University of Illinois. 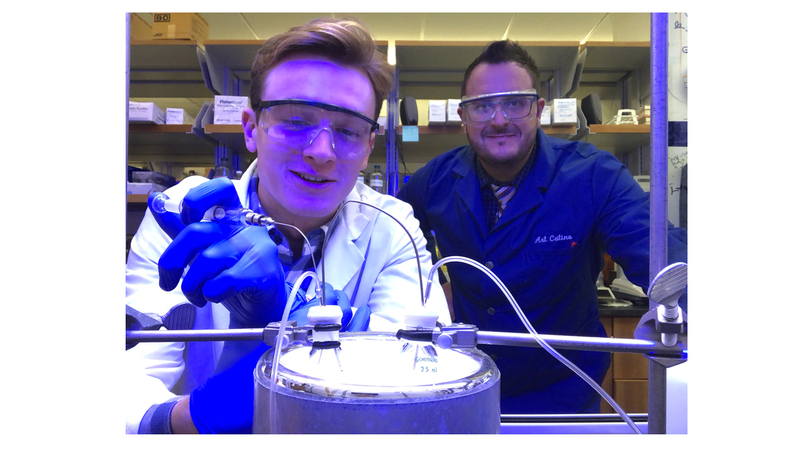 Soon thereafter, Matt Fava '15, G'18,another graduate student, and St. John Whittaker'20, an undergraduate student, joined the project and helped optimize reaction conditions and widen the scope of applications. “We made several new tetraphenylmethanes but we still needed absolute proof that we were making the right molecules,” explained Dr. Catino. 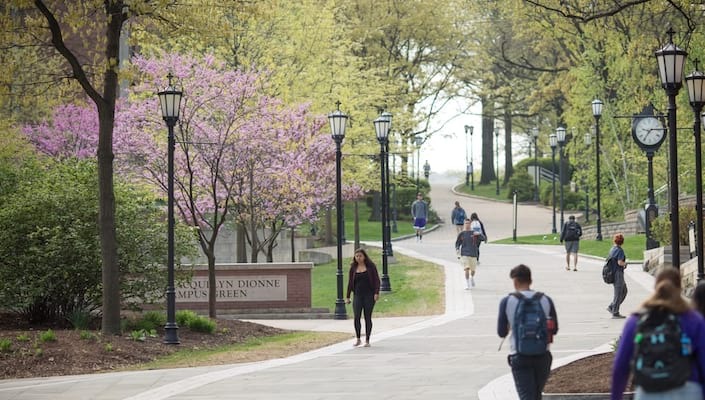 To get the proof they needed, Dr. Catino enlisted the help of Dr. Kristopher Kolonko, director of the Stewart’s Advanced Instrumentation and Technology (SAInT) Center at Siena College. Using high-field nuclear magnetic resonance spectroscopy and high-resolution mass spectrometry, they were able to confirm unambiguously the chemical structures of each of their molecules. Organic solar cells work essentially the same way as conventional solar cells, except the silicon has been replaced with a carbon-based molecule that converts sunlight to an electrical current. The advantage of organic solar cells is that they can be spray-coated or printed onto a surface such as glass, plastic, paper, or even fabric. Dr. Catino and his research group are continuing their work and hope to prepare the first chiral tetraphenylmethane as well as useful tetraarylmethanes for various applications.